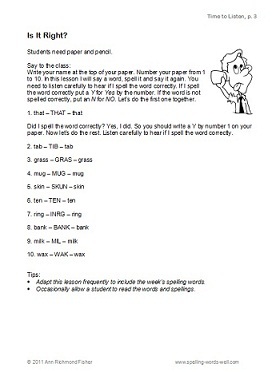 Teachers, are you looking for some FUN spelling worksheets, something other than your usual workbook pages? Parents, are you looking for supplemental worksheets to keep your kids interested and learning, even when they don't bring work home from school? You already know that most young spellers require a lot of practice when learning new spelling words. You also know that kids learn best when they're given practice in a variety of formats. Now you can make spelling practice FUN with these 50 all-new spelling worksheets for early learners! Pages that are Fun to complete! Try out 3 of our sample pages for free! All worksheets are ready-to-print in black and white. Whimsical clip art and large answer blanks make pages especially appealing to kids. Answers are included in the back of the book for many of the pages. Order the eBook now and download immediately! Choose one of these options, and click on the button of your choice. Free Bonus! 5 easy-to use- Spelling Listening Lessons included with eBook orders only. The lessons provide one more FUN tool for parents and teachers to help young learners practice those all-important spelling and phonics skills. These listening lessons can be adapted for any spelling word list. Download one of the free listening lessons here. Succeeding at a young age in language skills builds confidence in students that will continue throughout their developmental years. Why not give your child every possible advantage in writing and spelling, AND make it fun at the same time? 1. Ebook - Immediate download. Use the red links above. You'll place your secure order with a money-back guarantee through ClickBank. After confirming your order, you'll be able to download the pdf eBook using Adobe Acrobat. 2. Hard copy - Order through Amazon for $9.95 plus shipping. This edition has a fun new cover featuring a frog. As a former classroom teacher, home school teacher and a 20-year-veteran of the educational publishing world, I know the importance of keeping early learners learning! I've written dozens of books of reproducibles and thousands of magazine pages for some of the biggest educational publishers in the business. I think you'll love this book, and my websites! Don't forget to order your Fun Spelling Worksheets for grades 1 and 2 and free listening lessons today! Why wait for your child to have FUN while practicing important skills? Let the FUN (and learning) begin! 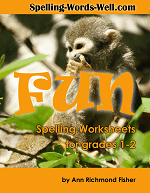 I LOVE your Fun spelling worksheets eBook. 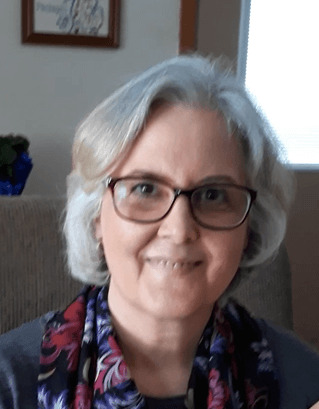 ... as a mom of ten who is still teaching children in grades one, four, six, eight, nine, and eleven, I am always looking for new and exciting materials. I have used many spelling programs in the past and came across yours just in time because we really needed some fresh ideas for spelling this year. "My daughter, who is 1st grade, just loved these pages. She was able to complete the pages with just a few questions after I read the instructions to her...She can't wait to do more. She's one that needs extra practice, so this book is perfect for her..."